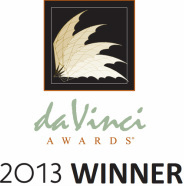 MonoMano Cycling has won the 2013 da Vinci Award for Accessibility and Universal Design. Since their inception, the yearly International da Vinci Awards® has become a prestigious international symbol of recognition. The awards honor individuals, organizations, and corporations in the engineering, construction, and technical fields for innovative developments and research in adaptive and assistive technologies. Click here to listen to MonoMano speak with WXXI station, a division of the NPR digital network.